I think many of you can relate to this post by Sweetmarie so I am sharing. If you haven’t been to her site before, it is well worth sticking around and reading some of her other posts. You can’t help but be inspired by her fortitude and determination to not let abuse destroy her and her strength to share her experiences in an effort to help others. I really admire this lady and have immense respect for her; I think you will too. ‹ PreviousOn A Scale Of One to Ten How Stressed Are You? Pingback: The Hope in Before and After | World4Justice : NOW! Lobby Forum. Today I woke to a deep depression, I was instantly in the mist of my loss of a relationship, still after 6 + months I’m depressed everyday. I usually put on a brave face and face the world but these last few weeks I haven’t even been able to do that. I believe I was in a co- narssasist relationship. I say that because I exhibit some of the qualities or actions of a N. I don’t blame my ex for all my problems but I have blamed her actions at times. 7 out of 10 times she would start a fight or blame me for something or tell me how inadequate I was, her tem was ” you are mediocre at best”. that takes something away from a person. It has brought me back to a depth of depression I haven’t ever known, beyond what I have ever felt. Brian, grrrr I had a huge long comment to you all typed out and my cursor takes on a life of it’s own and I accidentally exited the internet. I get so frustrated with this old thing but here we go again. Ok first of all, have you read about narcissists? I don’t think so because if you had you would know that you could not ever be a narcissist because they don’t hurt, they don’t care and they never take blame for anything. I think you need to educate yourself on narcissist so you know what you are dealing with. secondly You don’t have closure? she sends over a lynch party and you need more closure than that? I say you got your closure in spades. What do you need to feel you got closure? Closure usually requires both parties taking some responsibility for their part in the break down of the relationship. If your ex did that it would mean she has changed. Do you want to know she has changed but still doesn’t want to be with you? no I didn’t think so. The only thing that would make you happy right now would be for her to have been visited by her fairy godmother in the middle of the night who twanged her and gave her a soul and empathy and for her to come to you a totally changed person who realizes what she had with you and the two of you ride off into the sunset. A happy ending! But you are not going to get that fantasy ending, so what do you do now? what if she had been killed in a car accident? people lose loved ones everyday, people who loved them back, couples who just had a baby will lose a loved one, it must be devastating!! how do they carry on? They don’t stop loving the person who died, they always hold them in their hearts but they go on to love again and be happy. Sometimes i think people hang onto their hurt because they feel in some way that if they let it go it means they didn’t love the person that much. Their pain comforts them because it is proof of the love they have/had with the person. You spent every day loving her, obsessing about her, so your mind goes there automatically and it is your comfort zone. You know how to hurt, you relate it to her and being loved, as long as she was hurting you, you mattered in some way. I remember thinking that the now he was lying to the new woman, I wanted to be the one with false hope. How sick and sad is that?? If you can take some of the blame for the relationship failing then you feel you can fix it, change things but it is too late. i think you have to walk away now, if she is sending people you call a lynch mob; you have no choice. To obsess about the past is absolutely pointless and unproductive, it is done, you can not change the past. you can’t worry about the future either, because 90% of what we worry about never comes to pass and most of it is out of our control anyway. All you have is today. I don’t know how old you are but believe me, one day you will regret the time you spent crying about someone who never deserved your tears. you talk like there is something wrong with being depressed. Depression is a natural reaction to life’s events. Everyone is so quick to criticize someone for being depressed, they need to take antidepressants, get over it. i say that depression is a problem if a person doesn’t have a good reason to be depressed, I think you have a really good reason to be depressed. Stop fighting it, stop worrying about being depressed. We make it worse by getting depressed about being depressed. I spent days where i didn’t shower, open the curtains, answer the phone or door until I got sick of myself and showered and went out into the world. Tears are cleansing, there would be something wrong with you if you weren’t depressed. Grief is painful, losing a loved one is painful, facts of life I am afraid. 6 months? have you been no contact that full 6 months? i doubt it. No contact is more than waiting for her to call or contact you, it is actively removing all avenues for her to contact you. it is taking control of your life, blocking her on email and social media, it is changing your phone number so you don’t know if she called or not. You are still allowing her to control your emotions and your life, take control back and your depression will lessen, promise. ok I give up. i wrote another long comment trying to finish what i was saying to you Brian and my damn cursor did it’s own thing again and kicked me out. I am giving up. Besides it is all here in the posts, all you have to do is search categories and everything i was trying to say will be there in posts. here are a few links to get you started. That should get you started. You have to take an active role in your recovery. You don’t have to stop loving her, I gave myself permission to love james forever if i wanted. let’s face it, you loved her even though she didn’t act loving towards you. you had no reason to continue to love her, but you did anyway right? So what is the difference now? Don’t stress over the fact that you love her or that you are hurting, but she is not going to put you back together. Don’t worry about never loving again. You have no idea what the future holds. just for today do what you have to do to survive, and tomorrow do what it takes to survive tomorrow. day by day minute by minute. I understand and I care and have been there. 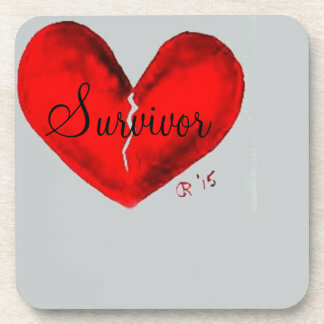 you will survive, pain hurts, losing someone you love hurts, those are just facts of life.